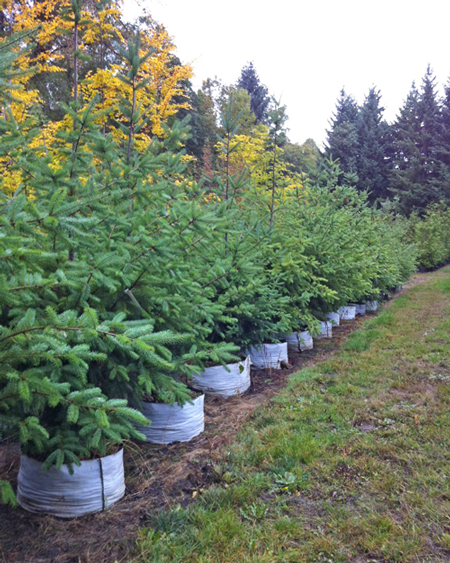 These magnificent evergreen trees are sharply pyramidal when young, will grow 70-200ft tall in time. Fragrant, soft needles and branchlets are inviting to touch. Dougies can be sheared when young for a cultured look, or lightly pruned to encourage thick growth. To make a 12ft clipped hedge, plant young trees 2ft apart and keep topped and trimmed. Beautiful in a woodland setting, Douglas Firs make good windbreaks, fine backdrops for deciduous trees where there is room. Categories: All Plants, Conifers, Native Plants, Restoration Stock, More..
Conifer Size 1 gallon3 gallon5 gallon7 gallon6 ft. 8 ft.10 ft.